Fanatical Animal Rights Terrorists, HSUS Training Law Enforcement-huh?!? If you find yourself accused of an unwarranted seizure of your animals please issue the following form letting them know you are aware of your constitutional rights-I recommend sending a copy to your states attorney general and the FBI; do not forget the judge who issued the search and seize warrant…likely un-trained in matters of law, might be outside the jurisdiction of his court. 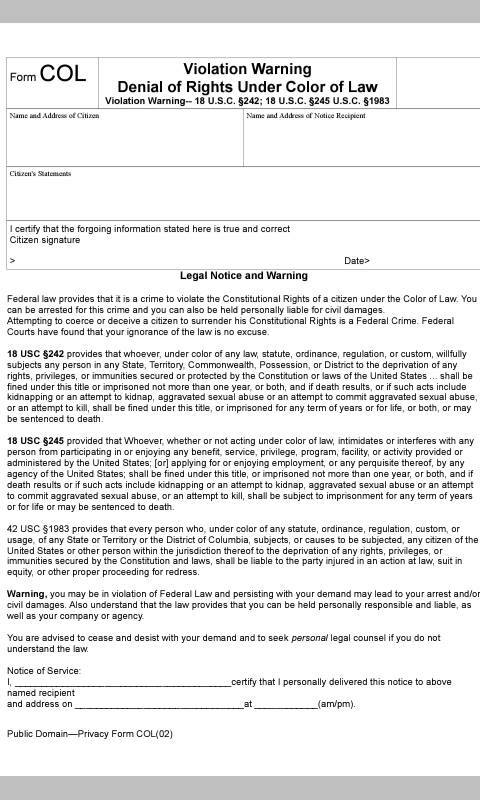 Fanatical Animal Rights organizations usually don’t have a clue about the laws involved that protect you; the ones that do will be shocked that your fighting mad and aware of your rights by law…Include everyone involved in the raid!!! Click on the image to enlarge. Our Law Enforcement agencies should not be educated by, or associate with, a radical animal rights agency like the Humane Society of the United States. HSUS has an agenda to end ALL animal ownership (including working K-9’s) and they are not experts in detecting animal cruelty or animal care. Say no to HSUS using our Law Enforcement to achieve their anti-American agenda! Things you didn’t know about HSUS…..
4) HSUS receives poor charity-evaluation marks. CharityWatch (formerly the American Institute of Philanthropy) has issued several “D” ratings for HSUS in recent years over the group’s wasteful spending practices. CharityWatch , finding that HSUS spends as little as 50 percent of its budget on its programs. CharityWatch now gives HSUS a donor advisory and NO rating. Additionally, the 2013 Animal People News Watchdog Report discovered that HSUS spends 55 percent of its budget on overhead costs. 12) HSUS just lost a lawsuit under federal racketeering law. Feld Entertainment sued HSUS and two of its in-house lawyers under the Racketeer Influenced and Corrupt Organizations (RICO) Act for allegedly participating in a scheme to pay a witness who lied in court. Court documents indicate that HSUS sent at least four payments to one of the witness-paying vehicles in the alleged scheme. HSUS et al. has been ordered to pay $15.75 million to Feld. 13) CharityWatch found that HSUS violated IRS rules for three years. The watchdog group pointed out in its Fall 2013 issue that HSUS had improperly inflated its revenue. HSUS has since revised its revenue THIS is very good news. Missouri House Speaker, Tim Jones sets up committee to investigate Missouri Attorney General Chris Koster’s corruption. That would include Koster’s “Puppy Mill Task Force” which has been targeting Missouri licensed dog breeders. The report comes in the wake of a September 2013 poll of 1,050 self-identified HSUS donors in which 87 percent said they were unaware that HSUS gives such a miniscule portion of its annual budget to local pet shelters. 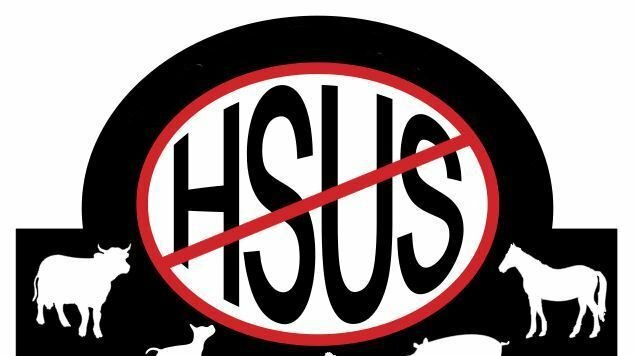 When informed of this, a full 83 percent of HSUS’s own donors agreed the group “misleads people into thinking that it supports local humane societies and pet shelters,” and 59 percent were less likely to support the group going forward. Instead of giving any substantial funds to local shelters, in 2012 HSUS spending went toward fundraising expenses, campaigns against animal agriculture, lawyers, lobbyists and high salaries for top executives, Coggin said. ~ by topcatsroar on January 9, 2016. Fanatical Animal Rights Terrorists – FARTs!!!!! Too perfect! Wish I could say I thought of that but I didn’t -Running with it though-HA!